Shiga Lakestars (B League) re-signed 26-year old Zimbabwean power forward Julian Mavunga (203-116kg-90, college: Miami, OH, agency: Pensack Sports). He was a team leader there last season. In 53 B League games he averaged impressive 19.6ppg, 9.6rpg and 3.3apg. He can count that season as a very successful as was selected to Asia-Basket.com All-Japanese BJ League Honorable Mention. The previous (14-15) season Mavunga played at Sigal Prishtina (SuperLeague) in Kosovo where in 9 games he had 11.0ppg, 7.7rpg and 5.1apg. He helped them to win the league title (in both Kosovo League and Balkan League !!!) and they also made it to the Cup final. 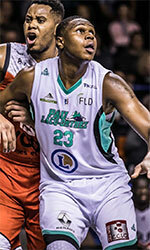 Mavunga also played 9 games in Balkan League where he had 10.2ppg, 5.0rpg, 3.3apg and 1.0spg. He contributed to his team winning the Balkan League championship. The other team Mavunga played shortly was Ironi Nahariya (Winner League) in Israel. In 7 games he had 7.1ppg, 4.3rpg and 2.6apg. Mavunga received NABC Division I All-District 14 1st Team award back in 2012 at his college time. Mavunga was a member of Zimbabwean Senior National Team last year. 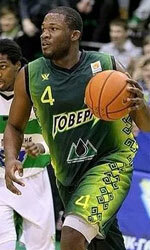 He has played also professionally in Italy (Angelico Biella), Ukraine (Hoverla) and D-League (Maine Red Claws). Mavunga attended Miami University, Ohio until 2012 and it will be his fifth season in pro basketball.